Masters classes started a few weeks ago, taking their toll on my productivity here. Sorry about that! a binary search tree (BST), provides O(h) time search, insert and delete operations (h is the tree height. Linear time (O(h)) doesn’t sound very good – if h is close to n, we’ll have the same performance as a linked list. What if there were a way to bound the tree height to some sub-linear factor? As it turns out, there are several ways to do so, and the general idea of somehow keeping the tree height limited to a certain factor of the number of elements it holds is called height balancing. Ergo we’ll want to look into (height) balanced/self-balancing binary search trees (BBST). Since binary search trees have at most two children, the best tree height (i.e. smallest) we can achieve is log2 n (n being the number of elements in the tree). There are several self-balancing BSTs developed over the years. It seems that up there in the US college professors tend to prefer the red-black tree when studying BBSTs, whilst over here AVL is preferred. In any case, AVL tree was the first BBST ever devised, so we’ll adopt it as our BBST model. We used trees to build the heap data structure before, but we didn’t bother with the theory behind trees, which are abstract and concrete data structures themselves. There’s a huge range of material to cover so I’ll split this in several posts. Trees are graphs with a few extra properties and interpretations/conventions. Trees have height (longest branch length) and depth (distance to root). The uppermost level consists of at most one node (the tree root). All nodes may have children. There are no edges other than parent-child edges. Trees are classified according to some of those properties above and some others we’ll mention later. Most commonly, there is a constraint to the maximum number of children per node -e.g. 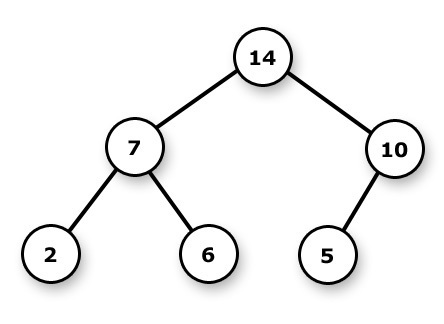 the binary tree limits children to 2 per node.